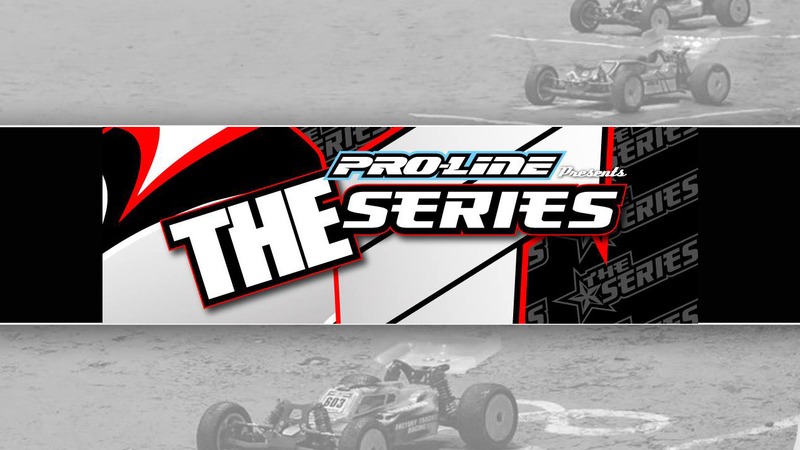 THE Series presented by Pro-Line kicked off the 2018 season in fashion with 309 entries. 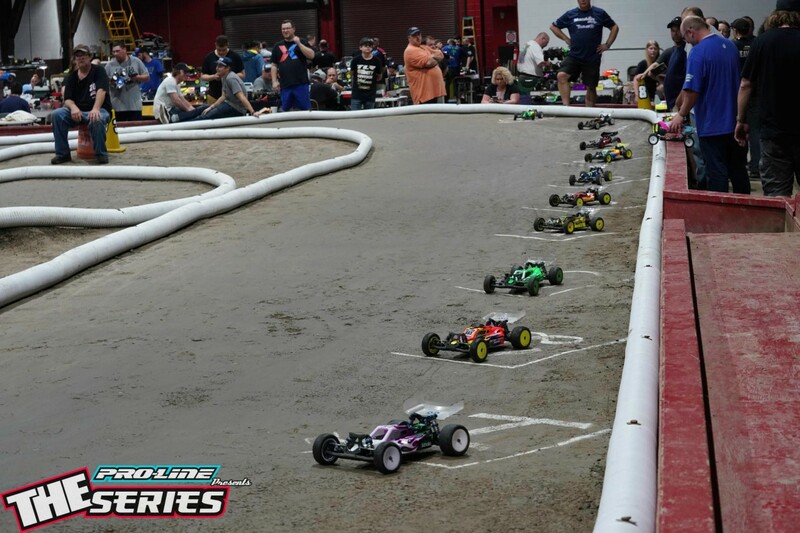 Hosted at RC Clubhouse, an indoor clay off-road track in Warren Michigan. The racers poured in Friday for open practice, and that practice was need. Track owner Bill Hall and the Clubhouse Crew built one of the most technical layouts THE Series and many of the racers have ever seen. With all the entries making up 32 heats we had to shorten the program to two qualifiers and the mains to be able to finish at a reasonable time. New this year is the TIRE STACK TQ. For the class with the most entries, the TQ would receive $50. Stock Buggy had the most entries with 56 and when qualifying was done, Team Fantom driver Josh Schroeder would take home the cash. Going into the mains, Future Champions would start us out with some great racing. TQ Evan Ciresi led all the laps except the last one where Canadian born Nathan Ross would take the win by less than one second. After many lower mains it was time for the rest of the A-mains to start. Powder Puff sponsored by RC Clubhouse would see Adelle Max take the win with her Mod-X powered Team Associated B6. In Super Stock Stadium truck Matt Petrowski would battle with Tom Tanner and pull out the win. Tyler Heavner would run back to back A-mains in 4X4 Short Course and Stock 13.5 4WD Buggy and take both wins by almost twelve seconds in each race. In Mod 4WD Buggy, Mike Legue would do the trifecta with TQ, HOTLAP, and the WIN!! From the fourth starting position THE Series own Kris Norlock would take the lead on lap two and never look back for the win in the Nankin Hobbies sponsored Vintage 2WD Buggy class. Russ Bryant would capitalize on his TQ and take the win in Super Stock 13.5 2WD Short Course. 2WD Stock Buggy would see TQ and $50 richer Josh Schroeder lead every lap and win the biggest class. Mod 2WD Buggy Sponsored by MOD-X would once again see Mike Legue standing on top of the podium after a tone to tone battle with Matt Cline. Last on the starting line would be the second most popular class 1:8 scale Buggy. TQ Charlie ‘Chuckles’ Maiorana would lead the race from tone to tone for the victory. We also had a 50/50 raffle which the winner won $485 and we also had prizes from Maclan, Racers Edge, BOCA Bearing, Pit Boss, and Darkside Designs. Thanks to THE Series sponsors: Pro-Line, RC Clubhouse, Mod-X, Nankin Hobby, A-Main Hobbies, Team Associated, Reedy Powered, Big Leads, BOCA Bearing, Darkside Designs, Exotek, HighTech Supply, Inside Groove RC, Lunsford, Maclan, Motiv, Pit-Boss, Pacers Edge, Savox, Tire Stack, Trinity, and VRP.